Don’t let that white face fool you! We guesstimate that Theo is around eight years old, but he is full of beans. He runs really fast, loves to play fetch, and displays his joyful Zoomies frequently. He is affectionate with everyone he meets, and loves nothing more than to be petted or cuddle on the sofa. 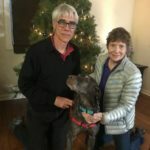 Theo is going to an awesome forever home with a GSP-savvy couple who can give him all the attention and fun he craves. His new mom works part-time and his dad works from home–and is also a runner. They plan to take him on lots of hikes in regional parks and even to romp in snow in the mountains. 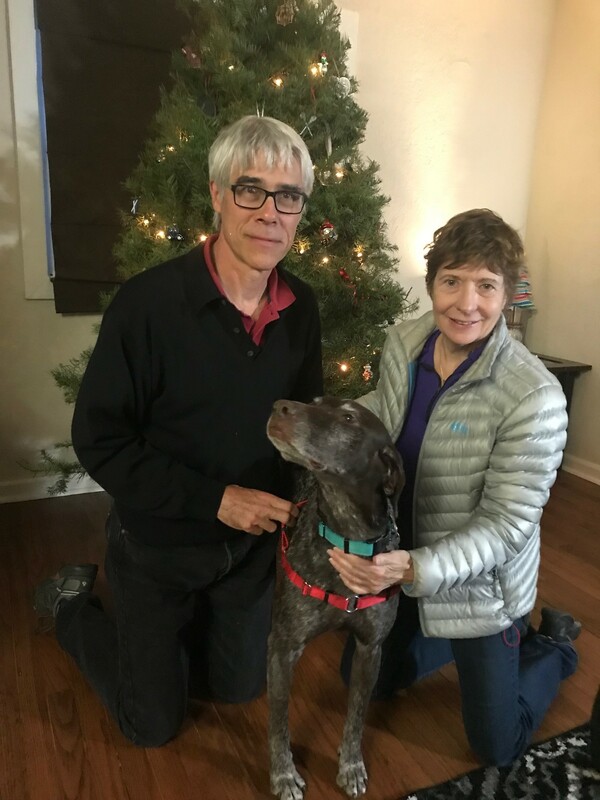 Thank you, Corinne and Travis, for fostering Theo.